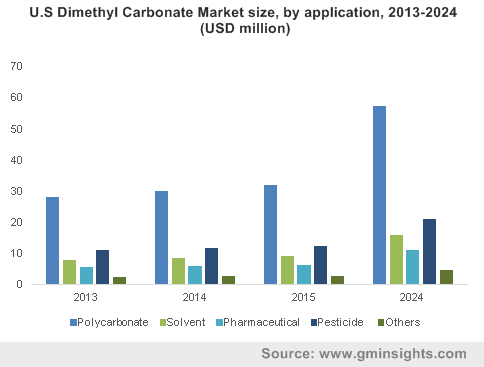 Polycarbonate « Global Market Insights, Inc. The extensive commercialization of the packaging sector will lead High Performance Films Market to carve a rather profitable roadmap for itself. This can be attributed to the excellent mechanical and aesthetic properties that high performance films possess, owing to which they are used for durable and lightweight packaging applications. Flexible packaging market, slated to grow at a rate of 5% over 2016-2024, will also contribute toward high performance films industry share. These films are endowed with the characteristics of durability, high chemical resistance, high tensile strength, UV ray protection, and temperature and light control, owing to which they find applications in the food & beverage, interior decoration, and construction sectors, thereby propelling the business trends. Surging demand for coating windows and doors for the purposes of safety and security will increase the product demand. In addition, the requirement for easy-to-dispose and lightweight packaging from the F&B sector will propel high performance films market, slated to cross USD 54 billion by 2024, with a CAGR estimation of 6% over 2016-2024. These films find extensive applications across the personal care, packaging, and electronic sectors. As per estimates, high performance films industry share from packaging applications was worth USD 20 billion in 2015 and is slated to register considerable revenue over 2016-2024. Packaging applications are forecast to be one of the most lucrative end-use segments across North America and the Middle East. North America high performance films market was worth USD 4 billion in 2015 and is anticipated to register a revenue of USD 16 billion in 2024, primarily due to the escalating demand for lightweight and convenient packaging in the food & beverage sector. In addition, the barrier high performance films industry will observe excellent growth across this region, pertaining to the increasing product demand from the solar cell manufacturing and semiconductor companies, due to its excellent feature of moisture resistance. Speaking of which, barrier high performance films market was worth USD 15 billion in 2015 and is anticipated to carve out a lucrative growth path ahead. The application spectrum of high performance films industry is indeed appreciable. Subject to the product properties of chemical inertness and low moisture absorption coupled with its dielectric and low friction co-efficient properties, these films find applications across microphone, photovoltaic devices, and cable insulation, thereby propelling high performance films market trends. In addition, these films are utilized for vacuum packaging, low oxygen technologies, and oxygen scavenging in the meat processing companies. The vast application of these films in numerous end-use sectors will help high performance films industry experience excellent growth prospects over the coming years. Microporous films are defined by the properties of low moisture absorbing, water repellence, and air penetration, pertaining to which they are extensively used for waterproofing application across the constructions sector. On these grounds, microporous high performance films market will grow at a rate of 4% over 2016-2024. Polycarbonate products, endowed with the properties of high glass transition temperature, excellent impact resistance, and durability, are used in the manufacturing of automotive, & aircraft components, construction material, data storage discs (DVDs, BluRay discs, and CDs), and other electronic components. On these grounds, polycarbonate high performance films industry size will surpass 500 kilo tons by 2024, in terms of volumes. Pertaining to their widespread usage in the electronics sector, this segment will register excellent growth across Europe, subject to the highly developed electronics market in this continent. In addition, owing to the surging demand from the packaging sector, Europe high performance films industry will grow significantly over the next few years, having accounted for 28% of the overall share in 2015. High performance films find applications in feminine and adult incontinence products and disposable diapers, pertaining to which high performance films share from the personal care sector is anticipated to cross 940 kilo tons by 2024, in terms of volume, with a CAGR estimation of 4% over 2016-2024. Increasing awareness regarding health and hygiene will further augment the product demand. Polyester is one of the key products of high performance films industry. It is one of the most favorable products suitable for the packaging sector. Escalating urbanization trends couples with huge investments in the residential constructions sector will spur polyester high performance films market, which held a valuation of more than USD 20 billion in 2015. Subject to the surging demand from the construction, automotive, and F&B packaging sectors, nylon high performance films industry is forecast to grow at a rate of 4% over 2016-2024. The aforementioned products find heavy demand across Asia Pacific and LATAM, owing the escalating construction sector and the rapidly growing economy. 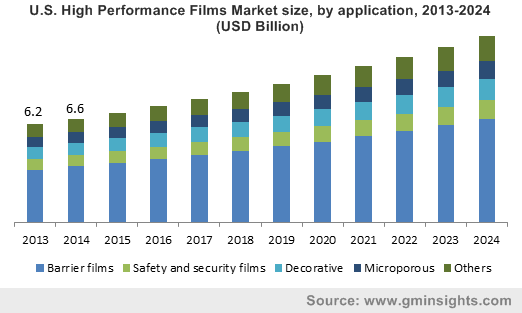 High performance films market from the construction sector is anticipated to cross USD 3 billion by 2024, pertaining to the aesthetic and mechanical properties of these films. The surging automotive sector across APAC coupled with reduced manufacturing costs and the huge availability of cheap labor will stimulate Asia Pacific high performance films industry, which was worth more than USD 9 billion in 2015. 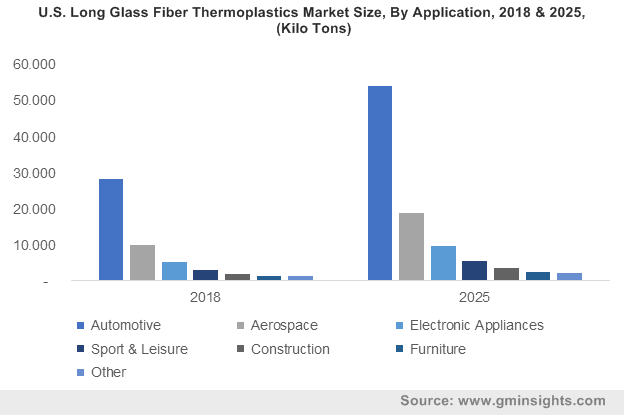 In addition, APAC high performance films market from automotive sector is expected to cross 230 kilo tons by 2024, in terms of volume, with a CAGR estimation of 5% over 2016-2024. This growth can be attributed to the growing automobile production and availability of labor at low prices. High performance films industry involves the participation of numerous companies that accumulate a significant share of other industries as well. The reason for this may be credited to the broad end-use spectrum of high performance films market. Renowned biggies such as Bayer Material Science, Dow Chemical Company, 3M, Honeywell, Bernis, DuPont, Evonik, Sealed Air Corp., and Clopay Plastic are key participants of global high performance films market. Keeping in line with the conventional industry trends, companies often engage in partnerships and strategic collaborations with third party vendors to expand their geographical presence. The 2012 alliance between Solutia and the Eastman Chemical Company is an example of one such collaboration that served to expand the presence of the latter to a considerable extent. This entry was posted in Polymers and Advanced Materials and tagged Fluoropolymer, High Performance Films, High Performance Films Market, High Performance Films Market Analysis, High Performance Films Market Forecast, High Performance Films Market Growth, High Performance Films Market Outlook, High Performance Films Market PDF, High Performance Films Market Report, High Performance Films Market Share, High Performance Films Market Size, High Performance Films Market Trends, Nylon, Packaging, Polycarbonate, Polycarbonate high performance films market, Polyester, Polyester high performance films market.